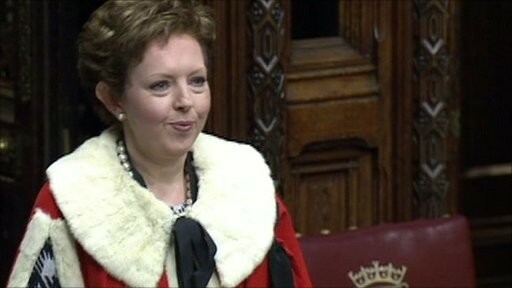 The British Gazette » Baroness Stowell of Beeston: A Dumb blonde? We are indebted to the excellent Quentin Letts in his column in today’s Daily Mail for this little gen which demonstrates the wonderful depth of knowledge possessed by those masquerading as the government in this formerly sovereign land. Baroness Stowell, Government Whip in the House of Lords for the Home Office, Department for Energy & Climate Change, and the Department for International Development was answering about tidal generation. The crossbencher Lord Walpole enquired about Scapa Flow. Not only did the noble baroness not know about any proposed tidal schemes planned for that historical stretch of water – not only did she not know where it was, she had never even heard of it! British Gazette comment: In days of yore when this country possessed a lawful sovereign government, such appalling ignorance on the part of a minister would have been a legitimate cause for concern. However, since over three quarters of the laws passed in this country now are imposed on it from Brussels the danger posed buy having such an ignoramus in office is moot. A young man duly appeared who claimed to be a teacher at a comprehensive in the Manchester area. Just north of Barcelona we happened across a mountain range which he noted were the Himalayas. He did so with a straight face and with an air of deep knowledge, the comment being directed toward his friend..
And so, we have members of the Lords who do not know where the Orkneys are? It does not surprise me, but I do continue to despair…is it all too late?